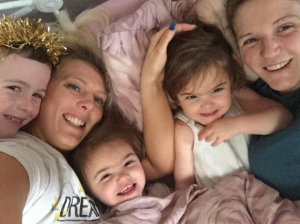 Three mums have opened up about how they reached the decision to become surrogates, after having children of their own. The women all have different reasons as to why they wanted to go through pregnancy to allow another couple to start a family. 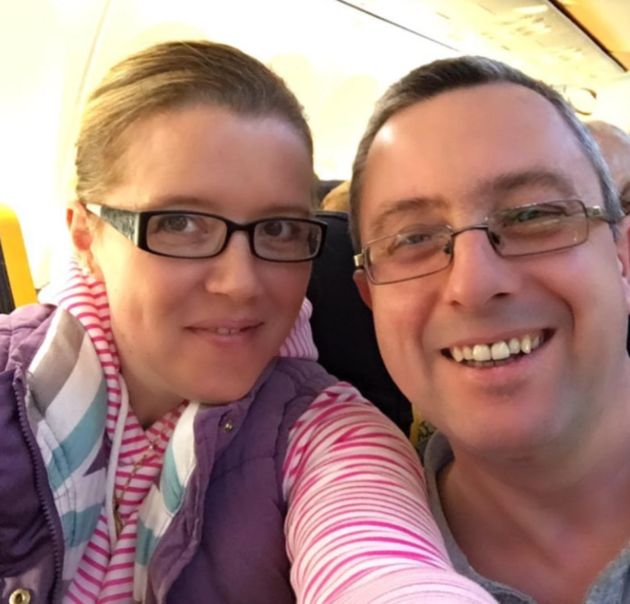 The surrogates have all shared their experiences with the non-profit organisation Families Through Surrogacy, as they want to raise awareness of surrogacy as an option for people who have fertility issues. 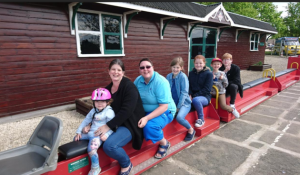 “The whole experience has given me so much more in life than I could have dreamed,” Kate Fruin-Smith, who has been a surrogate twice, told The Huffington Post UK. Kate Fruin-Smith, 37, from south Yorkshire, has four children – Daniel, 16, Heather, 15, Zoe, 11 and Thomas, nine – from a previous relationship. She also has three-year-old Lilly with her wife Rebecca. Fruin-Smith works in a private children’s nursery. She has been a surrogate twice before (in 2014 and 2016), and is now going for a third. She initially thought about surrogacy after having her first child. “I always felt so lucky and blessed to have my own children and was very aware that not everyone was that lucky,” she told HuffPost UK. “In 2009 I moved in with my wife and we talked about adding to our family and started looking into using a known sperm donor. Initially, Fruin-Smith said she found it hard to find the information and advice she needed, but she soon found an organisation that made the process easy. “I have loved it,” she said. “The first family I carried for send me updates now and again. The second I am very close to and we see each other regularly and message each other most days. “You get so much more than you give being a surrogate. The whole experience has given me so much more in life than I could have dreamed of. Gina Kinson, 41, from Kent, is married to Ian and they have three children: Ellie, 20, Alex, 15, and Sam, 11. She carried a baby as a surrogate in July 2016 and intends to start a sibling journey later this year. It was a friend from school who made Kinson think about surrogacy for the first time. She had always had the in the back of her mind that she’d like to do it in the future, but this encounter pushed her to do something about it. “After watching my friend Richard celebrate the launch of his book: ‘Our Journey – one couples guide to US surrogacy’ and share the joy of having his twins, I wanted to find out more about it,” she told HuffPost UK. Kinson was matched with some Intended Parents (IPs) in early 2015. They were successful on their third transfer and baby Evelyn was born in July 2016. “The support, emotions and feelings that came with the journey have been amazing,” Kinson explained. “Throughout the pregnancy I enjoyed an incredible amount of love and care from my family and friends and the IPs’ family and friends. “I felt honoured to have been entrusted with carrying such a precious cargo and even though there was not one ounce of baby fever in me, I felt very protective over my growing belly. “It’s hard to describe the emotion involved when you feel the movements of the baby and when you have a cuddle after birth, but it is nothing like your own pregnancies and not at all maternal. Kinson said the highlight for her was the “overwhelming happiness and empowerment” she felt when Evelyn was put into the arms of her mother. “I have never felt so much love and pride since I gave birth to my own children and in such a different way, but equally as powerful,” she said. “The whole process proved to be far more emotionally draining than I had ever imagined and even though I embraced every moment, I would advise anyone embarking on surrogacy that it is one of the biggest rollercoaster rides you’ll ever jump on, so be prepared. 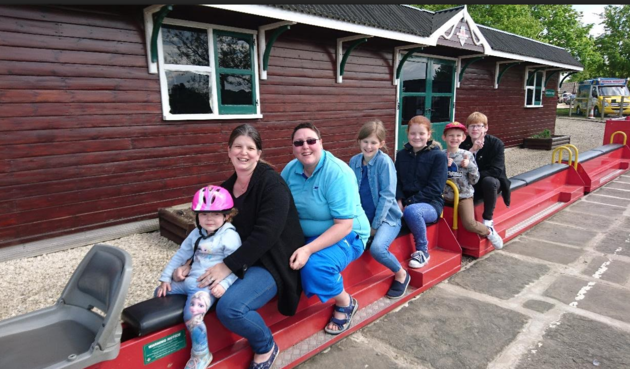 Trish Hunt, 36, and her wife Cathy, 31, from West Sussex, have four children together: Joseph, 13 and Bradley, six (who Trish carried), and twins Katie and Jessica, two, (who Cathy carried). Although Hunt was able to fall pregnant easily, it wasn’t as smooth when Cathy decided she wanted to carry children. Cathy’s pregnancy was stressful and the couple nearly lost their girls to twin-to-twin transfusion syndrome. They were born at 35 weeks. “This opened our eyes to the fact that getting pregnant or carrying babies is not easy for everyone,” she said. “Infertility is an emotional rollercoaster full of heartbreak. Hunt said she and her wife were chatting one day and they got on to the topic of surrogacy and discussed whether they could help another couple. “Like a bit of paying it forward,” she said. “I searched surrogacy on the internet and found a Facebook page with discussions. After lots and lots of research, we went ahead and got matched with a couple. “My IPs were Tracy and Pete, we had a wonderful successful journey resulting in the birth of Nyobi in 2016. Surrogacy is an absolutely amazing thing to be a part of, but at the same time it can also become hard sometimes.